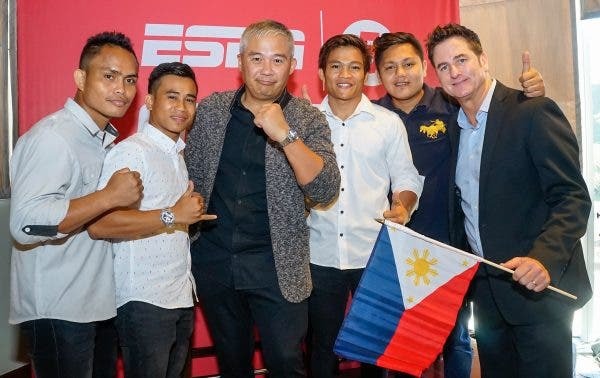 May 13 (Sunday) will be a red-letter day for boxing fans as ESPN5 will air live world-class pugilistic action from morning until late evening. Kicking off the festivities at 10AM will be the live telecast of the much-anticipated world lightweight championship bout between Jorge Linares (44-3, 27 KOs) vs. pound-for-pound great Vasyl Lomachenko (10-1, 8 KOs). Linares will be putting his WBA lightweight title on the line against the agile and hard-hitting Lomachenko, who is aiming to set a record by winning a belt in a third weight division in the fewest number of fights. Later at 3PM, it will be the turn of our local pugs to take center stage as a nine-bout card is happening live from the SM North EDSA Skydome as MP Promotions and Knuckleheads Pro Boxing Fraternity in cooperation with Joven Sports Promotions presents Survival Instinct, a solid boxing card featuring the top fighters from coach Joven Jimenez’s Survival Camp. Headlining the card is 2012 Rio Olympian Mark Anthony Barriga (8-0, 1 KO), who squares off with Mexico’s Gabriel Mendoza (29-5-2, 23 KOs) in an International Boxing Federation (IBF) minimum weight world title eliminator. Barriga, ranked no. 3 by the IBF in the 105-pound category, will be facing his most notable opponent to date in Mendoza, who is ranked seventh in the same division. The winner of this bout will be the mandatory challenger to Japan’s Hiroto Kyoguchi, the reigning IBF minimum weight champion. Also, seeing action will be several top Pinoy fighters such as featherweight AJ “Bazooka” Banal, “Marvelous” Marvin Sonsona in his comeback fight, and recent world title challenger Genesis Servania. Fans at the event will also be treated to a special viewing of the Linares vs Lomachenko title fight. 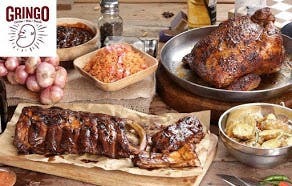 Tickets are available via all SM Ticket Outlets or at www.smtickets.com. The bouts will also be aired on Channel 5, Aksyon TV and via ESPN5.com live. 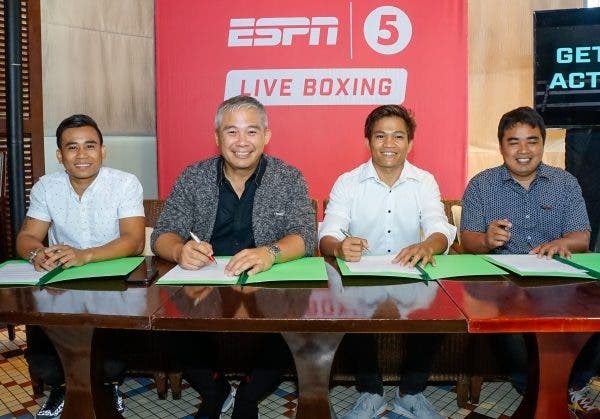 Boxing aficionados will also be treated to some of sports history’s greatest knockouts with ESPN5’s Greatest Fights, airing every Tuesdays and Thursdays. Meanwhile, film and sports fans alike can relive one of the most popular sports movie franchises of all time as Sylvester Stallone’s Rocky 1 to 5 hits the small screen every Saturday this May. 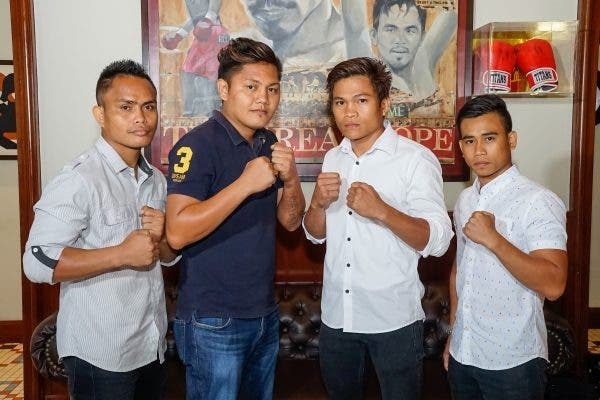 Then unto the main event as IBF super flyweight champion Jerwin Ancajas defends his belt against countryman and mandatory challenger Jonas Sultan in Las Vegas for the first all-Filipino title fight in 93 years. This exclusive matchup will be shown live on ESPN5 so stay tuned to SportsCenter Philippines and at www.espn5.com for more updates about this historic bout.